After some retail therapy, I’m used to visiting a cafe for a bit to eat. 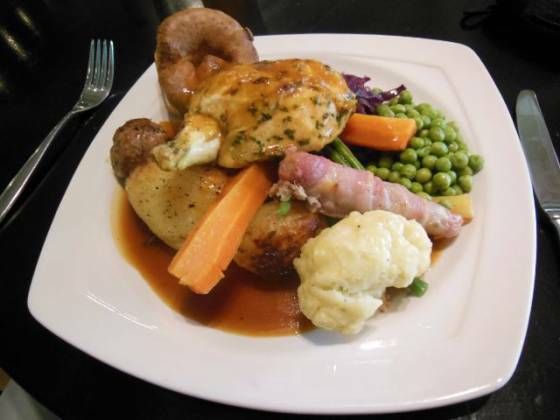 Bluewater has a plethora of restaurants, and I noticed that Browns serve Sunday lunch! In case you are not aware, Browns position themselves as a mid-upmarket restaurant chain, with venues in Central London, Oxford and Brighton. So, I was excited to find out what their lunch would be like. Booking was very simple, I just gave them a call (there is also an online booking engine). Our table was booked for 1:30pm the next day. Bluewater is a vast shopping centre in Erith, Dartford. So, as you could imagine, extremely busy on a Sunday. By contrast, Brown’s was an oasis of calm. Walking through the main doors, some seating was in front of us and a small reception area (which was empty). Walking through – a pianist was on a grand piano! Relaxing was the word… The bar was then immediately in front of us. We were shown to our table, with space for John William in his pram, and were given menus. Claire ordered a soda water (£1.05), I ordered a bottle of Erdinger (£4.20 – one of my favourites). I was feeling relaxed after some shopping and pleased with the venue choice – hanging baskets from the ceiling, an open kitchen, dark wood and painted walls, lots of space and an outside area. 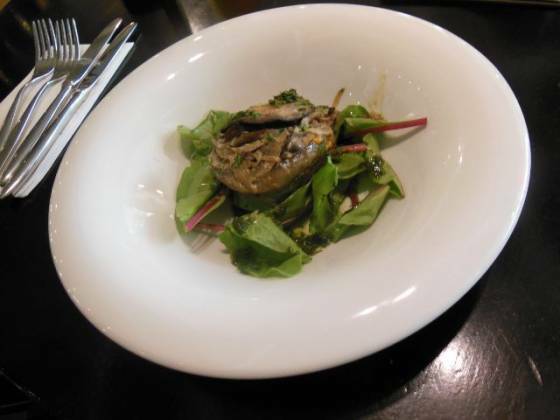 Claire ordered the flat mushroom (with a mushroom fricassée, chilli, garlic & madéra) to start (£4) and the half pousin (£12) for main course. 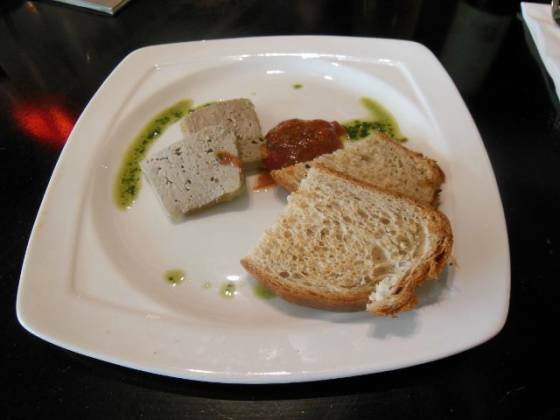 I asked for the chicken liver and brandy parfait (with a ruhbarb & tomato chutney and toasted cinnamon brioche – £4) with lamb (£17) to follow – I was told that the beef this week was ribeye instead of sirloin and the lamb was shoulder instead of neck fillet. Main course was brought out soon after we finished. With half a chicken, roast potatoes, Yorkshire pudding and lots of vegetables, Claire seemed happy with her choice and I with mine. I did need to ask for mint sauce, but it was brought out promptly and in a large-ish shot glass. Tucking in, the lamb fell off the bone. Whilst not a lot of flavour, the tenderness made up for it. There was a lot of meat on the shoulder. I tried some of the chicken, it was good as well. Claire also had a pigs in blankets (sausages wrapped in bacon) and stuffing. The roast potatoes were disappointing – I had two quite large ones and a broken one; Claire only had two. I found they were cooked well in the middle, but unfortunately were lacking in the cripsy-ness department and instead were just oily. Out of the whole meal, these let the Sunday lunch down. On to the vegetables… A great selection, being red cabbage, parsnips, carrots, green beans, peas and cauliflower cheese. All were good, although I would prefer more cauliflower cheese on the plate. The muffin base shaped Yorkshire pudding was nice, tasted fresh and without too much oil. Lastly, the gravy tasted good and there was enough to satiate my hankering. So, on to my conclusion. As I said at the beginning, with the piano playing and relaxed atmosphere, Browns was an oasis in Bluewater. The service was personable and efficient, our waiter was on hand if we needed anything without being intrusive. I felt the lamb was a tad overpriced at £17, but there were cheaper options on the menu, both the chicken and pork were less. I appreciated the cauliflower cheese, but I wonder if I would have preferred without it as the one floret left me wanting more! A great selection of vegetables, let down by the roast potatoes. But, a good drinks selection and a nice starter meant I left feeling upbeat about the experience overall. Oh, and family friendly – a few high chairs were dotted around. 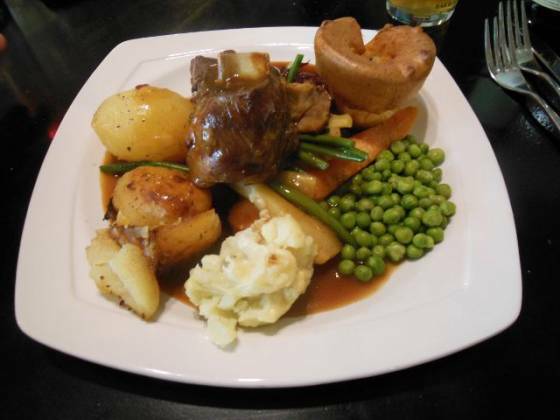 So, visit Brown’s at Bluewater for some respite from shopping and give their Sunday lunches a go.